Learn how you can prepare and save for the healthcare costs of retirement! How Much Do We Need to Save for Retirement? If you’ve used those free online calculator to find your retirement number, you probably were amazed at how much they say you need. A million, two million, maybe more for just one of you. How do you feel when you see those numbers? Considering that 1 in 3 Americans has less than $5,000 saved for retirement, chances are there’s room for improvement. Unless you’re living in denial about retirement, you’re probably dealing many of the hurdles couples deal with when it comes to saving and investing for retirement. 1- You have a full plate right now. As parents with two little ones, we always have something to do. We’re not complaining – this is really a fun season of life right now – but realistically our time and attention are focused around them. 2- Bills and debts. You may not be able to save more because there’s not much to give right now. If you have to pay credit cards, car loan, student loans and have a mortgage, your money is pretty much spent already. 3 – You’re not a financial planner. Hop online and you’’ll quickly see that there is endless free advice about what you should be doing. And it can be overwhelming at best and wrong for you at worst. Sifting through all that can be a mess. Running the numbers is also difficult. Especially with one area of retirement that we have to deal with now – healthcare costs and insurance. How do you know how much you’ll need years, decades down the line? The answer is there is no way to perfect predict how much you need. But there are ways you can start drawing a plan that fits your circumstances and your goals. Which is I’m happy Danielle Kunkle Roberts is here on today’s episode. Danielle is the co-founder of Boomer Benefits. Boomer Benefits specializes in Medicare supplement and Medicare Advantage insurance. Which you may be thinking, I’m too young for Medicare, but I think she’s perfect because she has a close up of view of how prepared people really are for retirement. She’s going to offer suggestions, ideas, and tips on what you can do now so you can be better equipped to handle the costs of retirement. And how your health insurance choices now can help or harm you later. Want to go ahead and tackle your big marriage and money goals? Here are the resources we mentioned in today’s episode along with some extras! Today I’m answering your biggest tax questions. We’re doing a quick and easy take covering what you need to know this year when you file, how to maximize your refund, and set yourselves up with your finances for next year. There are some people in this world who are giddy right now because it’s tax season. Yeah, this is like the SuperBowl for some money nerds. And while I admit to being a number cruncher at times, I have to say taxes aren’t really that exciting for me. However, I’ve seen how important getting our tax done has been for our finances. Both with planning throughout the year as well as using our refunds to reach our financial goals faster. And I want you to see taxes in a better, maybe less stressful light so today I’ll tackle the big questions. Heads up, even though I enjoy covering personal finances, I’m not a tax expert. There will be plenty of resources in today’s show notes for sure. But this episode I will do my best to break things down and talk like a normal, non-money nerd. Looking to make taxes less stressful? Here are some of my favorite resources! Leave a review. Honest feedback and reviews make a big difference and gets the word out about the podcast. I’d love for more couples to work together to dump their debt and pursue their dreams together! Please leave your review on Apple or Stitcher. I appreciate your help. Let’s make talking about marriage and money fun! Can you have nice things when you’re paying off debt? What millionaire habits can you pick up today? Personal finance author and money expert Anthony O’Neal shares his tips and thoughts! Many times we mismanage our money because we’ve developed ideas and habits that are harmful to our financial health. 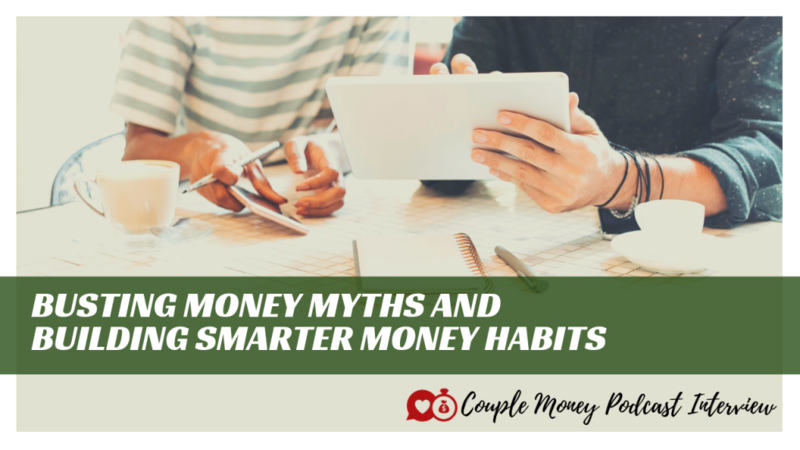 If we want to change or help our spouse to change, it means we have to examine those money myths and habits. And it can be hard to change. That’s why I’m really happy to have personal finance author and millennial money expert Anthony O’Neal on today. He’s made the leap himself. At age 19, Anthony ONeal was deep in debt and short on hope with no direction of where his life was headed. But after hitting rock bottom, he turned his life around and committed to helping students find and pursue their passions. We met up over at the NC State University’s bell-tower before his Smart Money event last week for a chat about money myths and habits. Looking to become debt free and build wealth? Here are some resources to help you build smart money habits. Can I Add Gucci to My Budget? Think your home is an investment? For most people, it’s not. 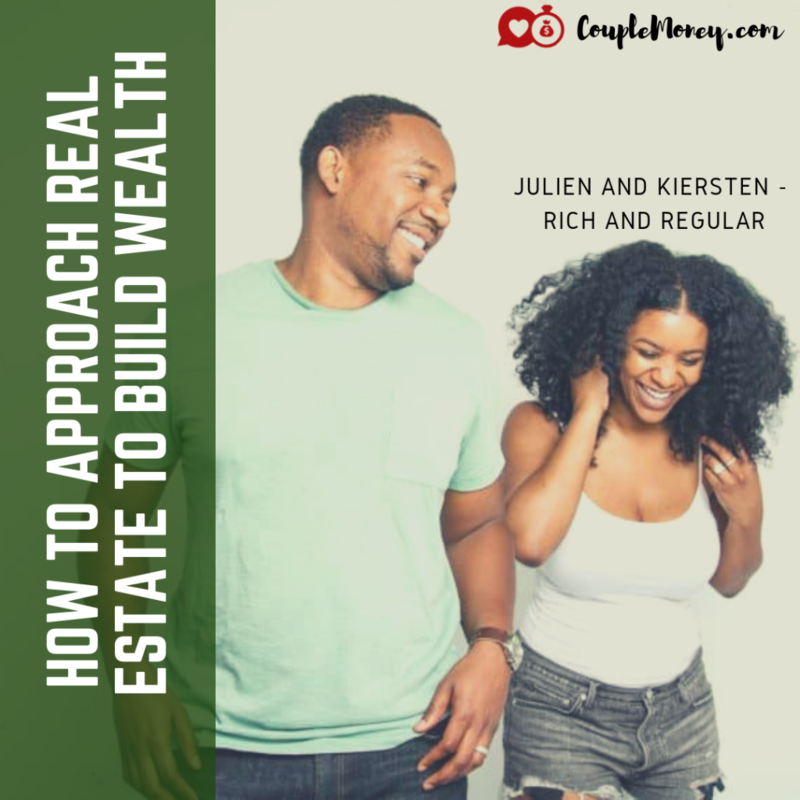 Learn how to rethink real estate so you can build your wealth and become financially independent! Is Your House an Investment or Money Pit? Buying a house is usually the biggest purchase we make. Right now in the United States, the median price of homes that sold is $225,900. For those living in high cost of living areas like California and DC, you’re looking at closer to 350k to $400k respectively. Just considering the numbers, you can see that you really need to do your homework when it comes to buying your house. A misstep or mistake can cost you a significant amount of money. I don’t want that to happen to you. When \ever you buy your home I want it to feel like a blessing and a burden. We’ve had several episodes about the house hunting, getting a mortgage, and finding the best home for you. Today, though, I want to get into the root of every bad decision we made when it comes to real estate – how we approach it. I can’t even count how many people had such strong opinions when we were house hunting. And not all of them were right. There so many justifications for buying any house. People were saying this and they no idea what kind of house or neighborhood we were looking at. That’s not to say buying a house is a mistake. It can actually be a smart move when done right. And if you’re looking at investing and are willing to put in the work, real estate can be an income stream. But how you approach it makes all the difference. Which is why I asked Julien and Kiersten , the creators and the couple behind Rich and Regular to come on today. They are not only are homeowners, but they are also real investors who are working towards financial independence. Their properties are a part of their plan so I thought they would be perfect to talk about how to approach real estate wisely. 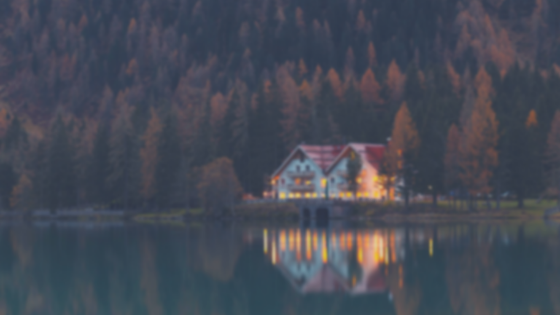 Which is Better for You – a 15 Year or 30 Year Mortgage? Learn how you can as a family get on on the path of financial freedom and independence! It’s almost the end of January, how are things going for you? Over at our FB group, Thriving Families, I’ve been keeping an eye on some of the goals you’ve been sharing and I’m really impressed. We some tackling debt, many mentioning their student loans. Meal prepping is also on the list. That’s a fantastic money saver and will help you tremendously with your health goals. Quite a few talked about earning more, both through their regular 9-5 job as well as side hustles. On the surface, these goals seem to go in different directions, but when we chat in the group and get into the whys behind the goals, I noticed a recurring theme. Having more flexibility and security for our families. And for many, that path includes reaching financial independence. But when you’re deep in debt or just starting out, it can seem overwhelming and in some cases out of reach. However, you can take steps now to get your finances in a great spot and open up more options for your family. Today Grant Sabatier, the author of Financial Freedom: A Proven Path to All the Money You’ll Ever Need and the creator of Millennial Money, goes through how he was able to become a millionaire and financially independent by 30. More importantly he also discusses how you can create your own path based on your goals and priorities. If you two are ready to make some real progress on your big goals, here are helpful resources to check out. Dubbed “The Millennial Millionaire” by CNBC, Grant Sabatier went from $2.26 to $1 million in 5 years through entrepreneurship, side hustling and investing. Millenial Money , where he writes about making and investing money and co-hosts the Millennial Money Minutes podcast. Since launching in 2015, Grant has reached over 10 million readers and listeners through his blog and podcast. Grant is also the author of Financial Freedom: A Proven Path to All the Money You’ll Ever Need . Grant has been featured in over 200 international media outlets including The New York Times, Wall Street Journal, The Washington Post, National Public Radio, Money Magazine, ABC Nightline, Chicago Tribune, USA Today, Inc. Magazine, Forbes, The Sydney Morning Herald, and many others.